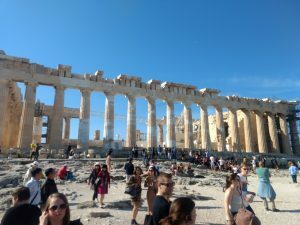 I recently returned from a school trip to Rome and Greece. Should you ever get a chance to go on one of these larger school trips, I highly recommend doing so. Start saving up now because they can be costly, but are well worth every penny. In Greece, I was struck by the thought that some people in the past thought big thoughts. 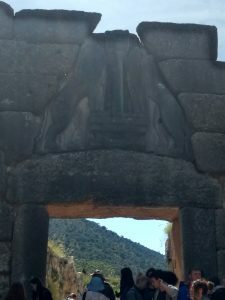 This picture to the left is of Agamemnon’s fortified city’s entrance way. This imposing structure likely served the purpose of impressing and intimidating visitors while similarly reassuring citizens of their own safety and esteemed position in their world. The partially reconstructed Parthenon to the right similarly impresses even today with its mathematical exactness and beauty. Dedicated to Zeus and Athena (Greek gods of antiquity), the Parthenon seems like man’s attempt to impress the gods with human devotion and skill. Considering the thought that the gods were divine, immortal, and possessing power and knowledge far in excess of humanity, this human attempt seems to me all the more surprising and impressive. 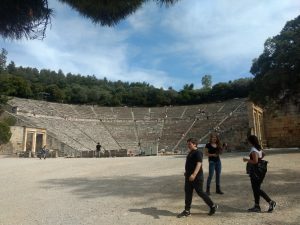 The Theatre at Epidaurus, still used today, contains seating for 17000 and enables the spectators in the uppermost seats to clearly hear keys jingling and paper being crumpled and ripped at center stage. Such marvelous acoustics without tech impressed students and adults alike. What wasn’t so impressive was that we weren’t allowed to sing O Canada as a group. Oh well, we did lay plans for one day having Canada join the Greek empire. Finally, not quite 200 years ago, the Greeks thought to improve shipping in the region and to do this, they cut their country in half at Corinth. 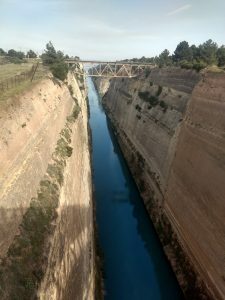 The Corinth Canal joins the Gulf of Corinth with the Saronic Gulf. The ancients attempted to cut through the isthmus at or near Corinth, and the task was completed by Greek nation about 50 years after its liberation from the Ottomans in 1830. Aside from sharing a few snippets of the trip with you, my intent again is to encourage each of us to think big thoughts – not necessarily to erect huge fortified cities, build massive worship centers, construct architectural wonders or cut landmasses in half – but to dream and to strive for something beyond our current status. Ambition rightly held can be a powerful force. Wrongly held, ambition can lead to arrogance and selfishness. But rightly held, ambition can help each of us to realize a better future if not for ourselves, then for others. 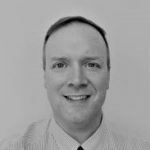 I would encourage each of us to ambitiously seek for greater joy, greater health and happiness, greater opportunity for all, greater knowledge and wisdom, and greater faith. And of course, I would encourage you to also make it your ambition to participate on those school field trips – where to next? Jerusalem? Northern Greece? Hadrian’s Wall in Northern England? Europe? Asia?